100% natural product containing no, petrochemicals, synthetic substances, parabens, GMOs or artificial fragrances. 100% Certified Natural by the Natural Products Association. NSF Certified to contain at least 70% organic ingredients. Product contains 95% total organic ingredients. 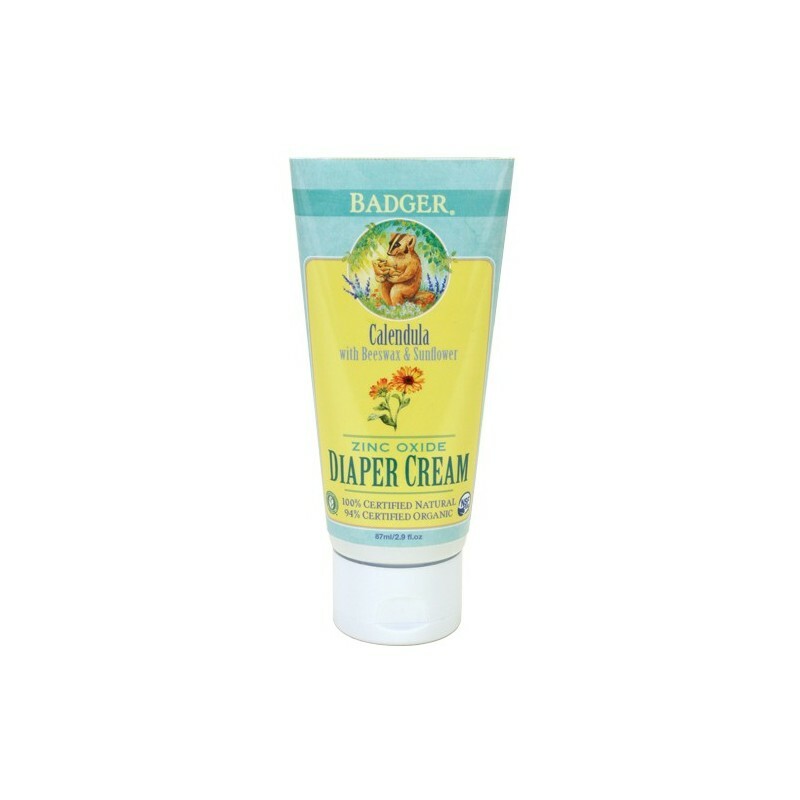 Treats and prevents diaper rash, soothes irritated skin and protects against moisture. 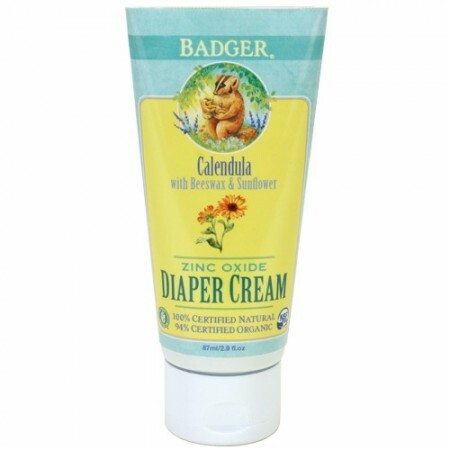 Badger uses only pharmaceutical grade non-nano Zinc Oxide. Certified Cruelty Free and no animal testing. Among the top rated products on EWG's Skin Deep Cosmetics Database. Cleanse area, pat dry, then apply an even layer of diaper cream. Use every day or if rash is present. Badger is a small, family-owned and family-friendly company in rural New Hampshire, USA. We are impressed by this team of down to earth and passionate people that work hard to maintain a healthy community-minded business with ethical and charitable social principles, despite Badger's world-wide success. Badger products harness the powers of aromatherapy, vitamin rich oils, essential oils, and minerals to soothe, smooth, and protect your skin and your mind. This means that Badger is a total body/mind/spirit experience. Every ingredient is put to the "Badger Natural Standard", a rigorous look at the growth, sustainability, and supply chain. That means you can be sure that you are using the purest, most natural products available. Because the USDA Organic Certification is a food-grade standard, Badger ingredients are even pure enough to eat! Badger is a Certified B Corporation. My son doesn't have a huge problem with nappy rash, but when it happens we want to heal it quickly. This cream works pretty much overnight. I feel extra good that there are no nasties in it.